T-Mobile and Shakira have a third UnCarrier announcement to reveal this evening in NYC, but thanks to a Facebook fansite for the artist, we may already know the plan. As seen in the image above that was captured by one of our readers, it looks like free global data is the next step. The image doesn’t provide many details, but does reference your T-Mobile data plan as now having a “passport.” The next line states that global data coverage in over 100 countries will now be included at no extra charge. The fansite that posted the image also included a link to a virtual autograph with Shakira, which redirects to a “coming soon” page. The site appears to be on hand for Shakira’s concert tonight in NYC, with all sorts of access to nearby staging areas. That doesn’t necessarily mean the image above is 100% legit, but it certainly helps the idea that it could be. The international tie-in matches the partnership of T-Mobile and an international star like Shakira. With that said, this is all still unconfirmed until T-Mobile makes an announcement. We should know it all by this evening. 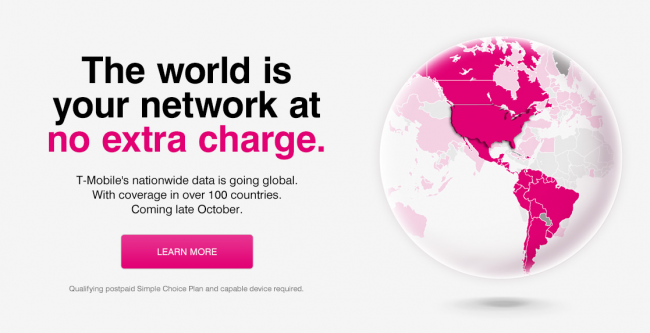 Update: T-Mobile’s website confirms that free global data is coming this month. The rest of the details have not surfaced yet.